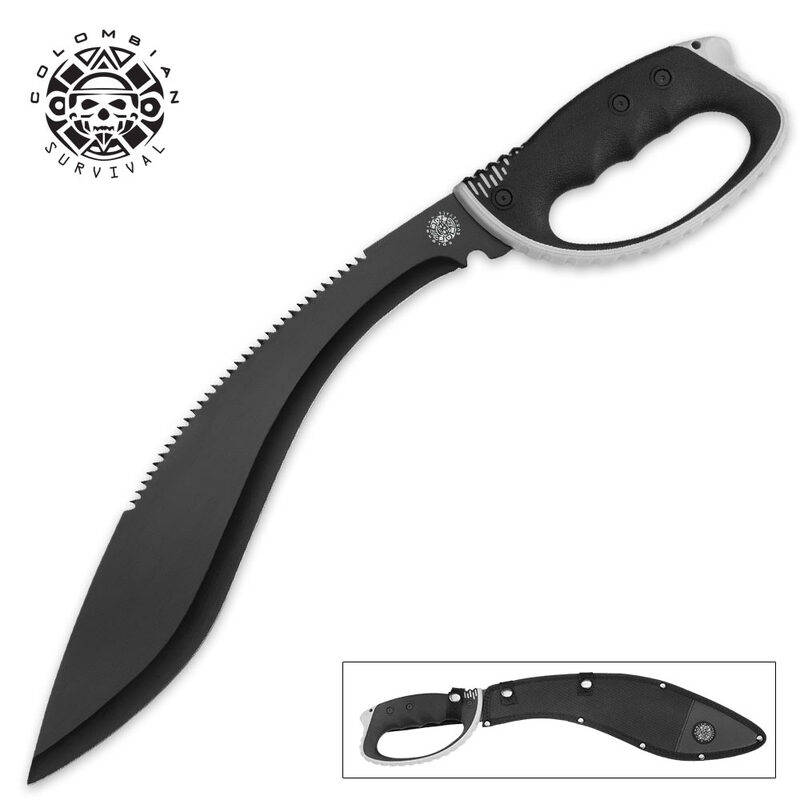 Colombian Survival Kukri Knife With Saber Handle | BUDK.com - Knives & Swords At The Lowest Prices! Out of all my knives this has become my favorite. The blade holds a sharp edge both front and back. While the build of the handle is amazing. 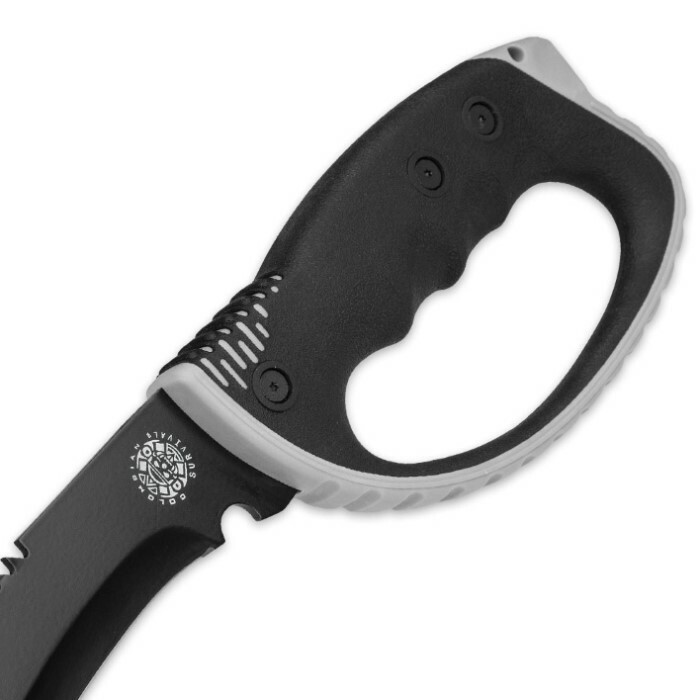 It fully protects your hand while providing a totally steady grip. I love it. Great Knife. 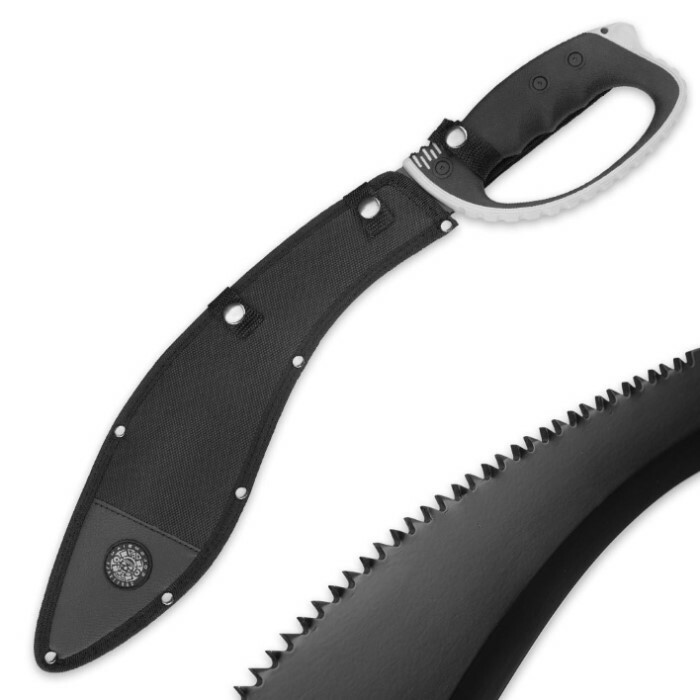 The d-guard makes using the saw awkward. Otherwise, great kukri and plenty sharp.